Leslie Castle has 6 large en-suite rooms available for guests to book. Each of the bedrooms is unique and all the rooms have en-suite facilities. Complementary toiletries and towels are also provided. Full cooked breakfast is included. If you would like an evening meal at the Castle, dinner in the Great Hall can be arranged for a small additional charge. 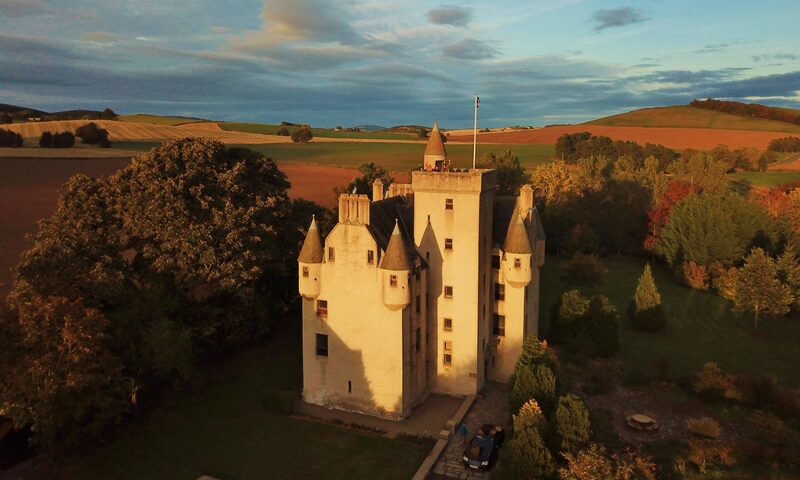 Please contact us in advance for further information or to make arrangements for this popular addition which will enhance your castle experience. We have 3 types of room, King Size 4-poster Room, Double Room, and Twin Room. Check in is from 4.00 pm and check out is before 11.00 am. Earlier or later arrangements can be made for an additional fee. In case of a cancellation, if the cancellation is more than the one weeks prior to arrival the deposit minus a £20.00 administration fee will be refunded. Please be aware that we can not accept online bookings after 2pm on the day of a proposed stay.